On a recent trip to Yukon, I visited Kwaday Dan Kenji (“Long Ago People’s Place”), a First Nations cultural interpretive centre on the old Alaska Highway near the village of Champagne. Harold Johnson and his wife Meta Williams of the northwest Champagne-Aishihik First Nation live on the wooded lot, an ancestral site, where they’re sharing the ancient traditions of their people. 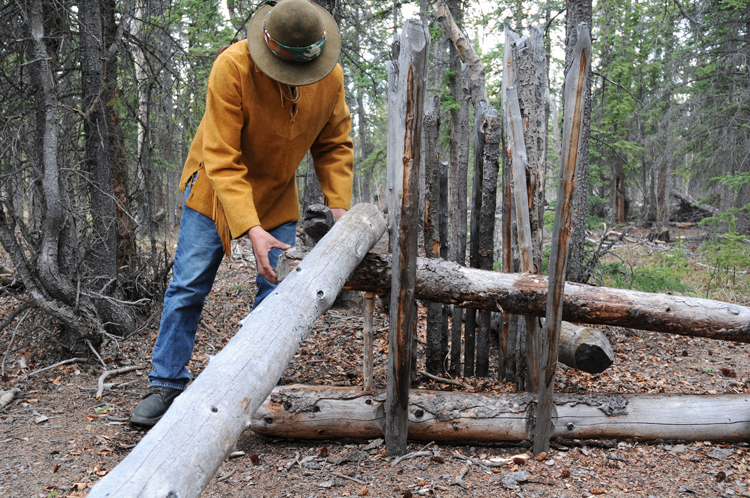 The couple, under the guidance of elders, are building traditional structures that were once used by their ancestors. Among them: a winter house, a salmon trap, a puberty house, a bone cache and a smoke house. 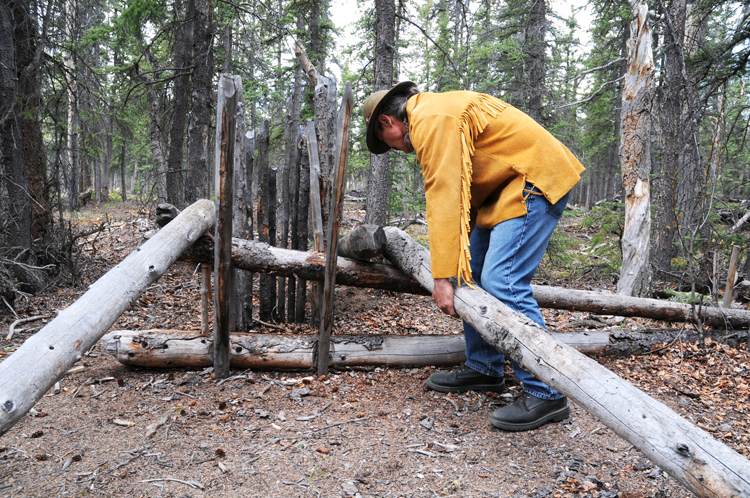 Most fascinating for me was the deadfall trap – an indigenous animal trap whose use goes back thousands of years. 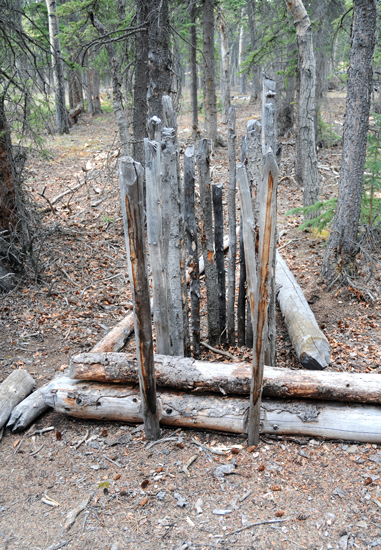 There are various deadfall traps used by different cultures. Most often they take the form of a heavy rock, or log, that is tilted on an angle and held up with a branch or stick which acts as a trigger. When an animal comes into contact the baited trigger, the rock – or log – falls, killing the creature. 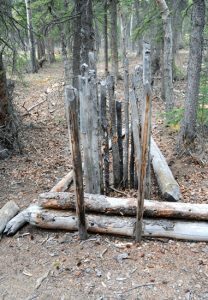 Indigenous people say a well-built deadfall trap will humanely kill an animal by quickly breaking its neck or vertebrae. 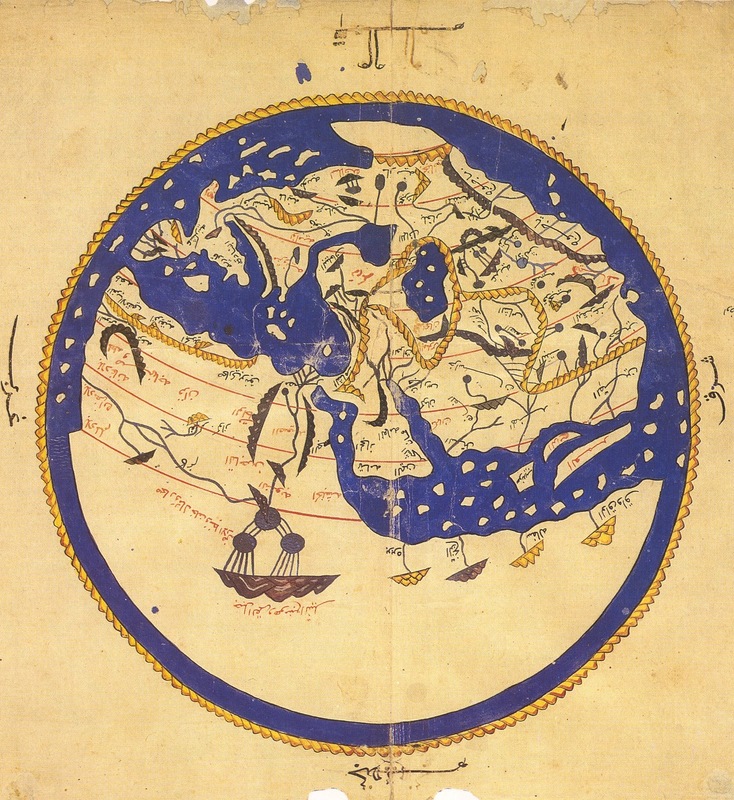 Hunting in many aboriginal northwest cultures was, and is still not something taken lightly. Nor was it engaged in for fun, or as a sport. The entire body of the animal was used to help sustain the community – by way of its meat, bones and fur. Nothing was wasted. 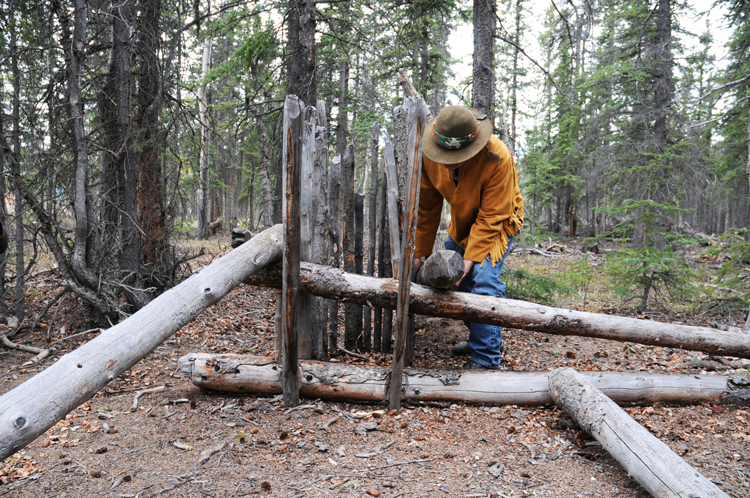 Johnson showed us the Champagne-Aishihik take on the deadfall trap, which is a more sophisticated version than most, using several logs to increase the weight of the main tree trunk. When the stick holding up that central log is knocked over by the animal as it tries to enter (or exit) the enclosure with the bait, the trap is sprung and the log comes crashing down with great force. 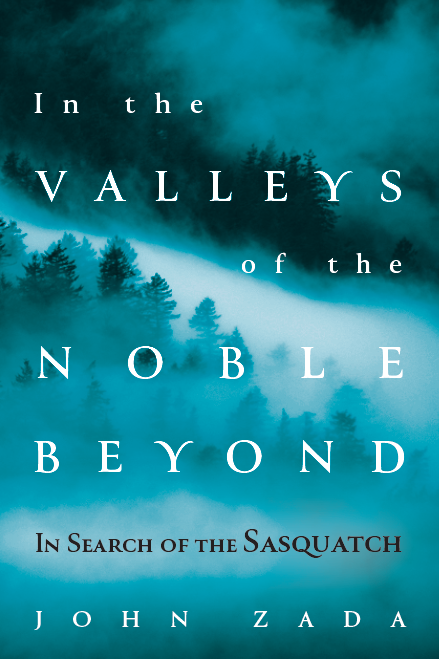 Its simplicity and ingenuity is testament to the advanced nature of this Northwest culture.